Dr. Sanders has worked as a staff nurse and administrator in a number of different settings and was essential in developing a path for UTMB School of Nursing to achieve Magnet Recognition in 2005. Additionally, she has served in various leadership positions in state and national professional nursing organizations and has garnered multiple nursing awards throughout her career. 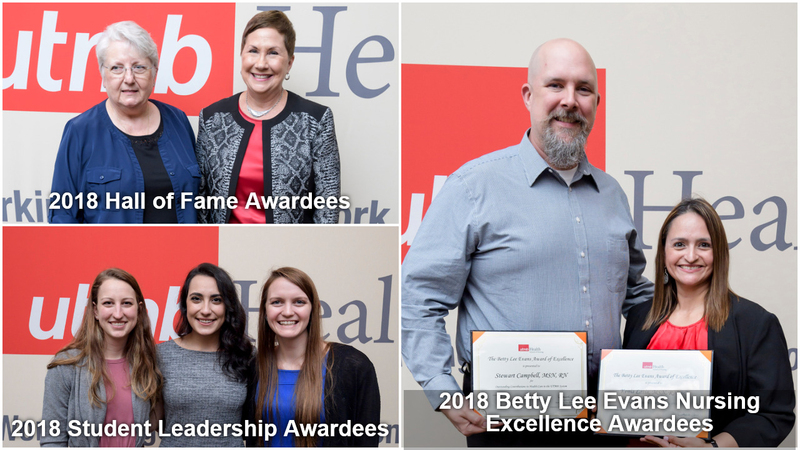 Honors an alumnus who has made major contributions to nursing through a commitment of excellence in patient care, research, publications, education, community service and/or leadership. Nominations are accepted through March 1 each year. The 2019 winner will be announced at Homecoming in October. Honors alumni who have made significant contributions to the nursing profession in clinical practice, education, administration or organizational work involving health care. Recognizes nursing practice and the delivery of excellence in patient care at UTMB by graduates of the School of Nursing. View a historical list of School of Nursing alumni who have received these special awards dating back to 1971.